This beautiful petticoat is designed to be worn under a traditional dirndl costume, and its ruffled design will help to give your dress a wonderful flowing shape. Made from 100% polyester, the petticoat has an elasticised waist to ensure a comfortable fit. The special feature that really makes this petticoat stand out is that it is covered with a sheer net finish, and it is this that really creates the flowing shape that will make this petticoat the finishing touch to your outfit. Super, empfehlenswert da das Dirndl schöner "fällt" und nicht "klebt". 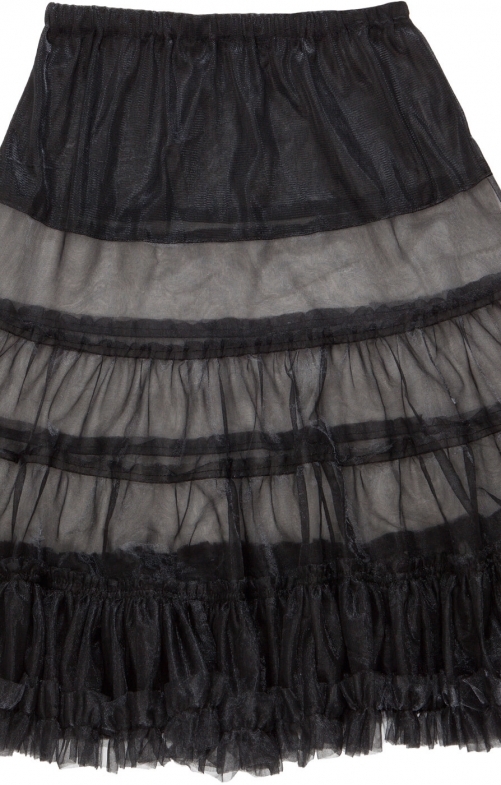 The quality of the petticoat is good, but as we did not use it we cannot provide further information.